With its mature trees and colorful flowers, your yard is more than nice. But the experienced team at Kasper Outdoor Services can make it look even better. After years of working as a go-to landscaper in the Duluth, MN area, we've learned all the ins and outs of the trade. We'll make your outdoor space work for your family. After we're done, you'll be thrilled with the improved appearance and functionality of your outdoor space. Get started on your property improvement project by scheduling a dirt delivery. Take your yard to the next level with landscaping services. Reclaim your weekends by scheduling a lawn mowing service. Rely on us for superior seasonal lawn care. Kasper Outdoor Services has been a father and son owned business since 2014. Tom Kasper has been a well-known public figure in the gardening community. He spent 18 years with the city managing many of Duluth's famous outdoor spaces such as the Rose Garden and Enger Park. For many years, Tom was also a TV personality on PBS called, "Great Gardening" which offered gardening tips and advice. 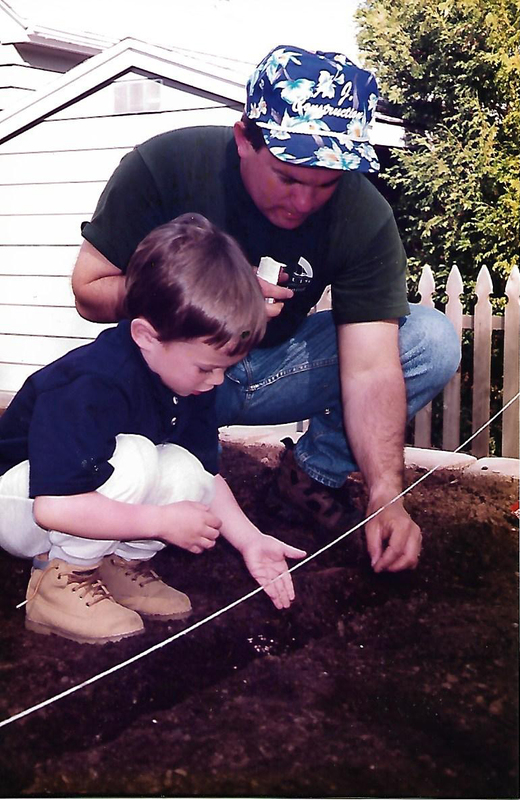 Mike grew up working alongside his dad, developing Tom's similar passion for the love of plants and outdoor spaces. As a kid, Mike got his start mowing the neighborhood lawns. Some of his old neighbors are still customers 14 years later! As Mike's list of lawns expanded, and Tom's list of clients were requiring lawn and garden maintenance, they decided to collaborate into what is now known as Kasper Outdoor Services. "We just started with an old truck and a utility trailer I found in the newspaper ads", Mike says. "Now we have 9 trucks and an array of equipment." Mike and Tom pivoted in the greenhouse business, Bending Birches, and also have started selling landscape supplies with their recent acquisition: Duluth Dirt. "I don't think either my dad or I ever thought we'd grow our little startup business into what it is today," says Mike. Mike, Tom, and their talented team are dedicated to meeting their customers desires and exceeding their expectations. Whether it is finding the right plant for the customer's space or making sure every blade of grass is cut, they make sure the customers are satisfied with the work and expertise Mike and Tom have to offer. You don't need to search far and wide to find a reputable landscaper in the Duluth, MN area-look no further than Kasper Outdoor Services. Go to the Testimonials page now to see for yourself what satisfied clients are saying about our services. The outdoor area at the front of your place of business is one of the first things visitors notice. Make a good impression by turning to Kasper Outdoor Services for regular lawn maintenance services. Business owners in Duluth, MN and surrounding areas count on us to keep their outdoor spaces tidy and attractive. Go to the Ground Maintenance page now to learn how you can benefit from our lawn maintenance services. Copyright © 2019 Kasper Outdoor Services, all rights reserved.